Hello there, everyone! 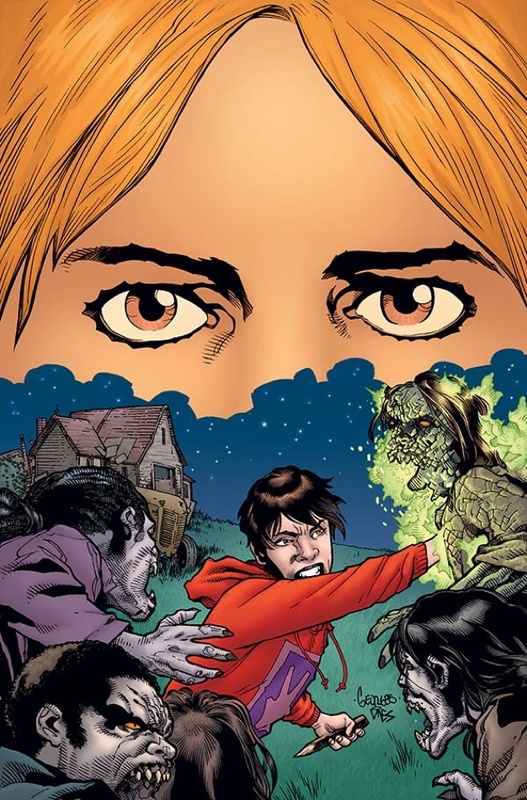 In case you missed it today, I wrote an opinion piece on the new story arc coming up in Dark Horse Comics’ Buffy Season 9, an arc written by Jane Espenson and Drew Greenberg called “Billy the Vampire Slayer” about a gay, male teen who tries to take up the Slayer mantle. Wanna know what I think of the idea? I wrote a thing at Tor.com to tell you all about it! To read the full post, or to make a comment about it, CLICK HERE! DOCTOR WHO IS BACK! HUZZAH! Which means I’m back to reviewing it at Tor.com. Reviews will appear every Monday, unless I get hit by a bus or something on a Sunday night. (Dear Universe: don’t let me get hit by a bus.) 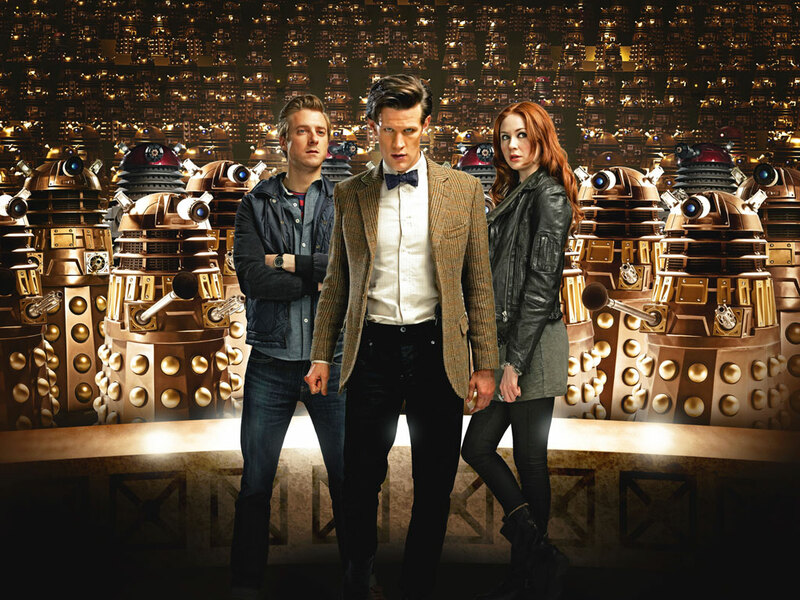 The Season 7 opener, “Asylum of the Daleks,” was AMAZING! Go on over to Tor.com to find out why and get in on the discussion! So many times, Rory’s insecurity told him that she wanted the Doctor, when really, whenever she talked about the hero that would save her, she was talking about him. She trusted and believed in Rory utterly. Amy has saved him as often as he’s saved her, and she has consistently chosen Rory over and over again even when, as in “Amy’s Choice” or “The Girl Who Waited,” choosing Rory meant sacrificing a version of her own existence. How do you measure which is more meaningful: waiting for someone for 2,000 years, or choosing the reality with Rory in it even if it means you’d be killing yourself in the process? You can’t. Amy and Rory’s relationship was never as black and white as “Rory Good, Amy Harpy,” and “Asylum of the Daleks” took a mature step forward in the handling of their relationship by examining these complexities. To read the full review, or to leave a comment at the post, CLICK HERE! Full disclosure: I have a thing about memory loss. With Alzheimer’s in my family, memory loss is one of the scariest things in the world to me, and when we get that glimpse in “Bad Teeth” of Juliette losing Nick in her memory, it was more frightening to me than any monster they could come up with. Having Juliette wake up and not know Nick nearly tore my heart out, and this will be one of the more interesting storylines on the show to me now. I’m interested in seeing how Juliette will change while undergoing this experience, and I’m looking forward to seeing how Nick now handles balancing his relationship with Juliette and his life as a Grimm now that he’s literally been given a blank slate with which to start over. He’d better do things right the second time around, because he screwed up the first time. For the full review, or to comment on the post, CLICK HERE! 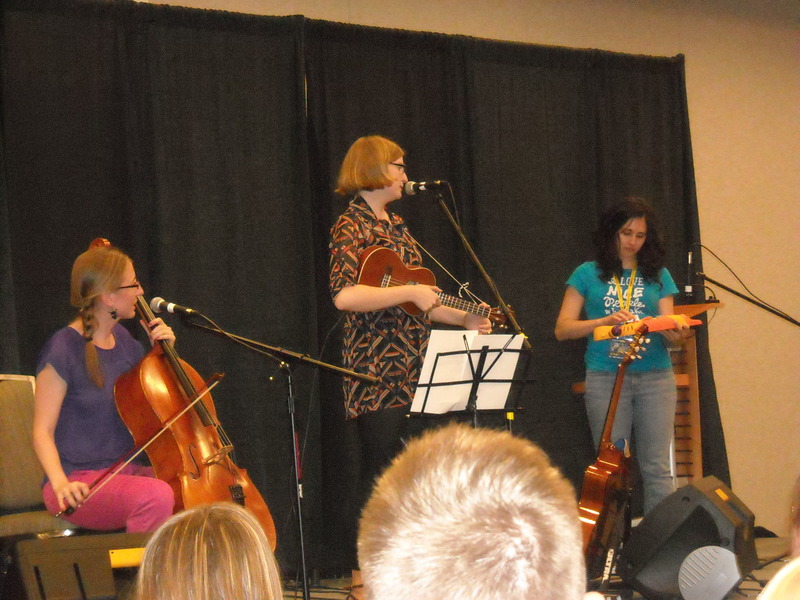 My new favorite geeky band, The Doubleclicks, featuring Molly Lewis at the GeekGirlCONcert at GeekGirlCon. Photo by Moi. 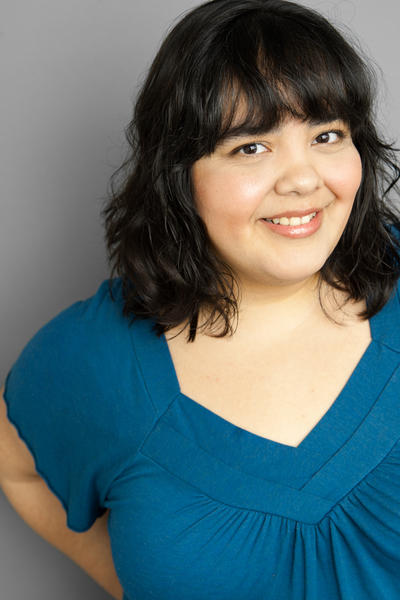 At long last, my write-up on GeekGirlCon 2012 is up at Tor.com! This con really only has gotten better in its second year. Read on to find out how! Driving from L.A. to Seattle and back is hard. So hard, that I needed a couple of days to recuperate. (i.e. Totally pass out and nap for three days, then re-learn English.) Now that I’m back on solid foods and putting sentences together again, I’m happy to report that GeekGirlCon has done nothing but improve and thrive in its second year. Remember last year, when I told you that GeekGirlCon was the most important con of the year? Well, it still is, for many of the same reasons. Same warm, friendly, welcoming atmosphere. Same lack of judgement no matter how you identify, whom you’re dating/married to, or whether or not you have children. Same wonderful spotlight on female contributions to genre storytelling, the sciences, and fandom. But there have been some changes this year, too, which have improved the con immensely, expanding on its mission statement and offering attendees even more. To read the full write-up, or to comment on the post, CLICK HERE! One of the benefits of being in my line of work is getting to sit down and talk with nifty people about the cool stuff in which they’re involved. One such chat was with Alexis Denisof (of Buffy/Angel/Dollhouse fame) about his latest project, a web series from Warner Bros and Bryan Singer called H+: The Digital Series. Anyway, check out the result of my SDCC press pass and willingness to strike up conversations with strangers over at Tor.com! We joke about it all the time. One day, we’re all just gonna have chips in our heads and we won’t need things like TV or computers anymore. But what if that actually happened? That’s the starting point for a new web series produced by Warner Bros. and Bryan Singer called H+: The Digital Series, which launches next week. Although, “web series” is a bit of a limited term. Web experience, more like, as H+ is going to be hugely interactive, allowing viewers to watch episodes out of order, edit them together differently, and create their own experience of the world, much like the characters are able to do with their web experiences in the context of the show. I had the chance to speak with H+ star, Alexis Denisof (Angel, Dollhouse), and producer, Jason Taylor (Bryan Singer’s Bad Hat Harry Productions), about this unique and exciting sci-fi project. To read the whole article, or comment on the post, CLICK HERE! Zachary Levi hosts a “Conversations for a Cause” panel at SDCC 2012. When I was at SDCC, I also had the pleasure of going to my first NERD HQ, first just to hang out, then for the Grimm signing and Q&A event, and I loved it! 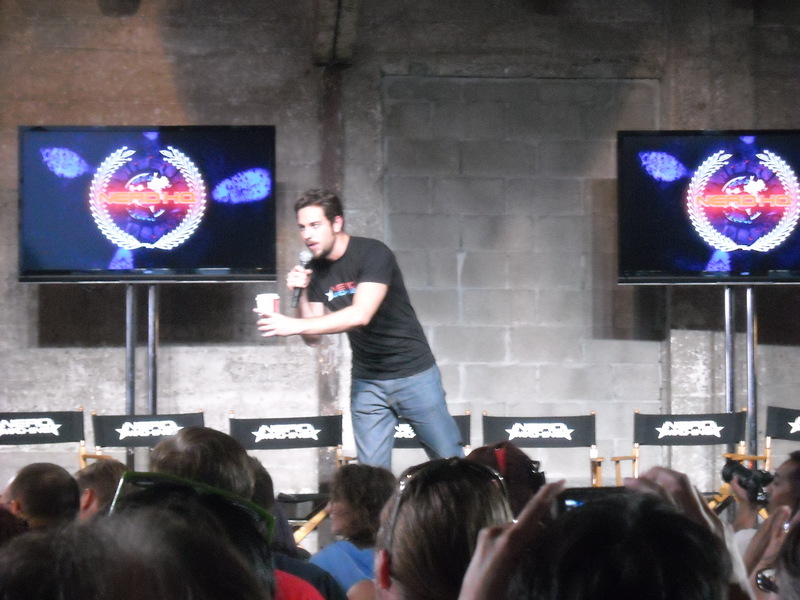 Check out my latest piece at Tor.com about Zachary Levi’s awesome collective of nerds! A big part of that warm, friendly vibe was due to Levi. I’ve never watched Chuck (though I plan on remedying that immediately), so I wasn’t really familiar with him before seeing him host a panel at NERD HQ, and I was impressed by how genuine and humble he is. He engages with fans as equals, and seems honored to be in a position to both deliver a unique experience and bring those fans together. The staff follows Levi’s lead, and that sense of community is reflected in everything they do. The fans give the love right back, taking pride in things like their latest Nerd Machine purchases, or their NERD number (the earlier you joined the Nerdvolution, the lower your number – Levi’s is 1), fostering a welcoming, friendly environment for each other. For the full article, or to comment on the post, CLICK HERE! Photo of one of my photogs of choice – Ms. Emily Heyer modelling her SDCC press badge, because I love forcing people into cheesy poses. That’s why SHE’S the photographer, and I’m the writer. 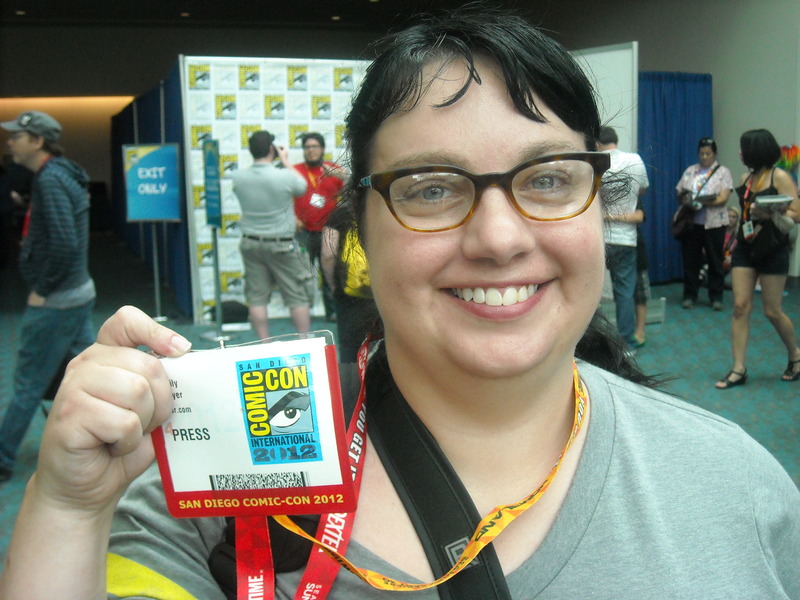 My last SDCC-related post is up at Tor.com! It’s the SDCC 2012 Cosplay Round-Up with some fabulous photos by Emily Heyer (follow her on Twitter at @GotThatMoxie). SDCC is geekdom’s largest showcase, so it’s no wonder that cosplayers prepare elaborate costumes all year so that they can bring their “A” games to Comic-Con. That said, this being my first-ever SDCC, I was surprised by how few costumes there were. Cosplay round-ups past have made it seem like there’d be costumes galore, so I was surprised by how few and far between the costumes seemed as I walked around the convention center and San Diego. Perhaps someone else who went can comment below and tell me how this year compared to previous years as far as number of costumes at the con? In any case, there was still plenty to catch my eye. This was Comic-Con after all, and tons of people arrived ready to make a splash! For photos galore, and to comment on the SDCC cosplay this year, CLICK HERE.